Take ZEGA’s Options Challenge Quiz to Get Ranked! 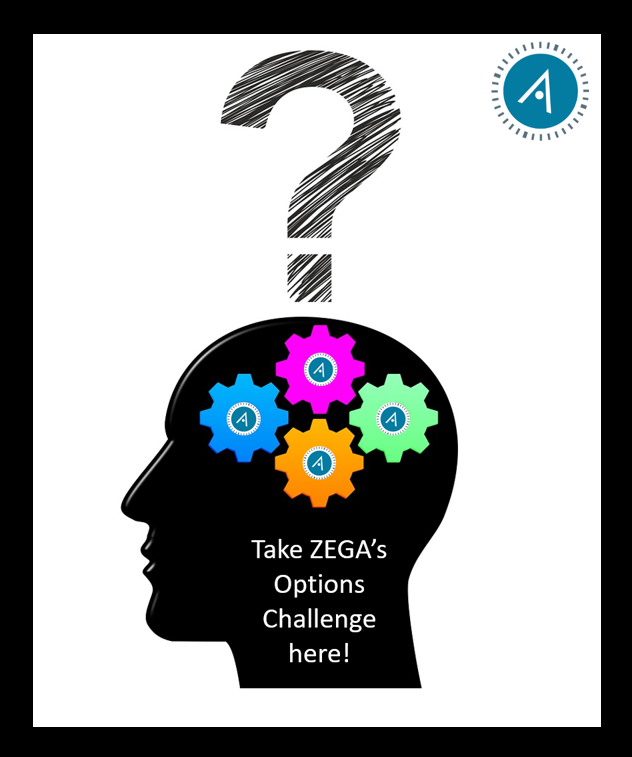 ZEGA has created a quiz to test your knowledge on options. Be one of the first people to take the challenge and get on our leader board! We decided on a competitive format to give a comparison of your depth and knowledge around options. Many people have a partial understanding of options, but you might be surprised to learn just how flexible and powerful they can be within a comprehensive investment portfolio. And who knows, you might learn something new. We encourage you to forward the link to fellow friends and investors. If nothing else, you’ll pick up some valuable facts and gain some broader knowledge around options. Warning though: You probably won’t be able to take just once as you look to climb the leader-board.